Are you enjoying your summer as much as I am? It’s summer and every day is something to celebrate. Those celebrations just got a whole lot easier with Bea’s Gift Baskets and Gifts, where anyone can shop through a great selection of edible gift selections regardless of celebration. Visit and discover why they’re the gift baskets of choice. Bea’s Gift Baskets.com announced today their continuing marketing partnership with Godfather Motorsports. Bea’s Gift Baskets was created seven years ago when founder, Bea Alexander’s, passion for creating gift baskets flourished from gifts for friends to a full-scale business. The business has expanded to provide a variety of gift baskets for every occasion. Mommy and Baby Reviews and Mommy’s Memorandum are excited to bring you this Basket of Fun Giveaway, sponsored by Bea’s Gift Baskets and Gifts! Bea’s Gift Baskets offers exclusive NASCAR themed baskets created by the voice of Sirius Radio, Dave “Godfather” Moody, and NASCAR Spotter, Mike Calinoff. Check out their full line of gift baskets and specialty products for every occasion at www.beasgiftbaskets.com. Enter to win a $50 Gift Certificate to BeasGiftBaskets.com! Note: Due to summer heat, baskets with chocolate will require overnight shipping, paid by winner. This only applies to baskets with chocolate. We would like to thank these awesome bloggers for joining in this fun giveaway. Please visit their blog and thank them when you have time. Entering is easy, just use the Rafflecopter widget below. ABOUT BEA’S GIFT BASKETS AND GIFTS: Bea’s Gift Baskets and Gifts, owned by Bea Alexander, is committed to providing only the finest gourmet gift baskets and gifts. Chosen for the 31st Annual Emmy Awards Gift Baskets, and named by NAPW as Professional Woman of the Year (2011), Bea’s Gift Baskets and Gifts specializes in fabulous containers with elaborate designs for any occasion, and always offers the latest trends in gift basket design. 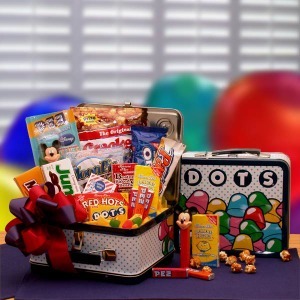 The company offers a variety of gifts including gourmet baskets, personalized gifts. There’s something for any occasion all available worldwide. Disclosure: This giveaway is sponsored by Bea’s Gift Baskets. ONLY Bea’s Gift Basket is responsible for prize fulfillment. This event is in no way sponsored or affiliated with any company or other individual(s) other than those included within the Rafflecopter widget. Being Frugal and Making it Work did not receive any compensation for participating!